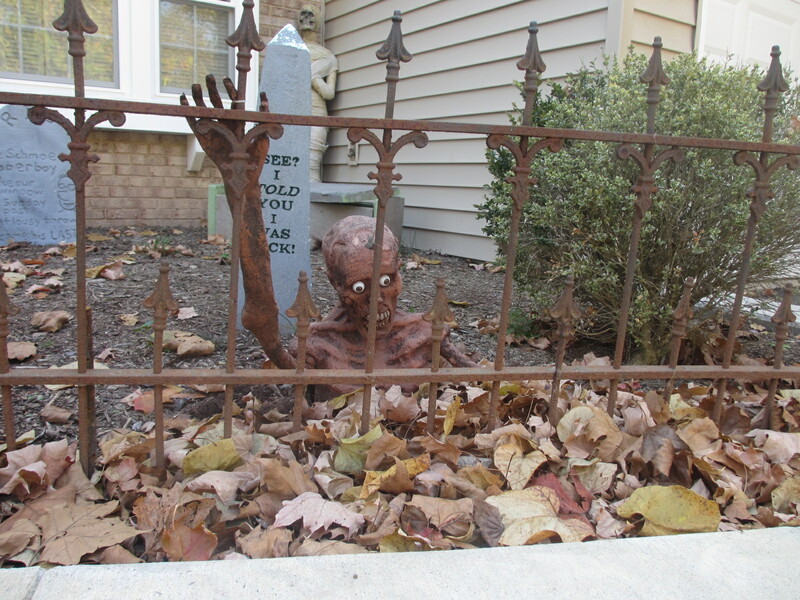 Happy Halloween and Grave Danger Winner! 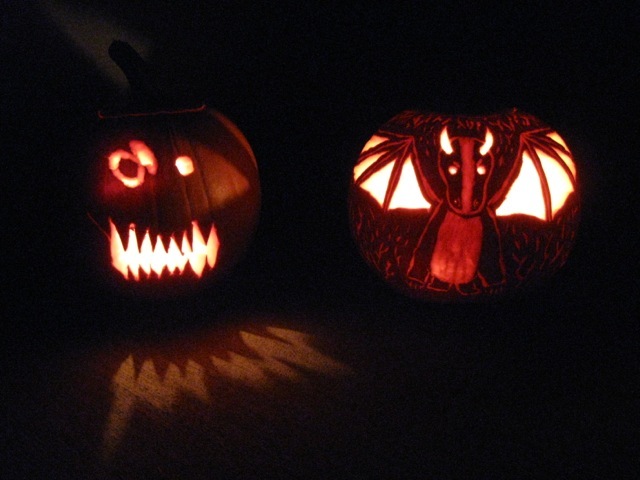 To celebrate Halloween we thought we’d share pictures showing how some of us here at Kiss and Thrill dress up our homes for trick-or-treaters. 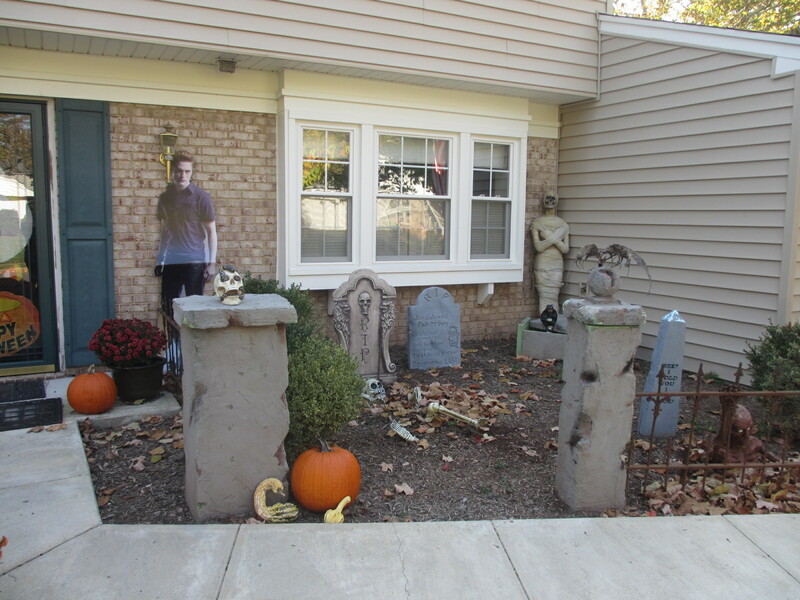 The first two photos show Sarah Andre’s romance-themed decorations. 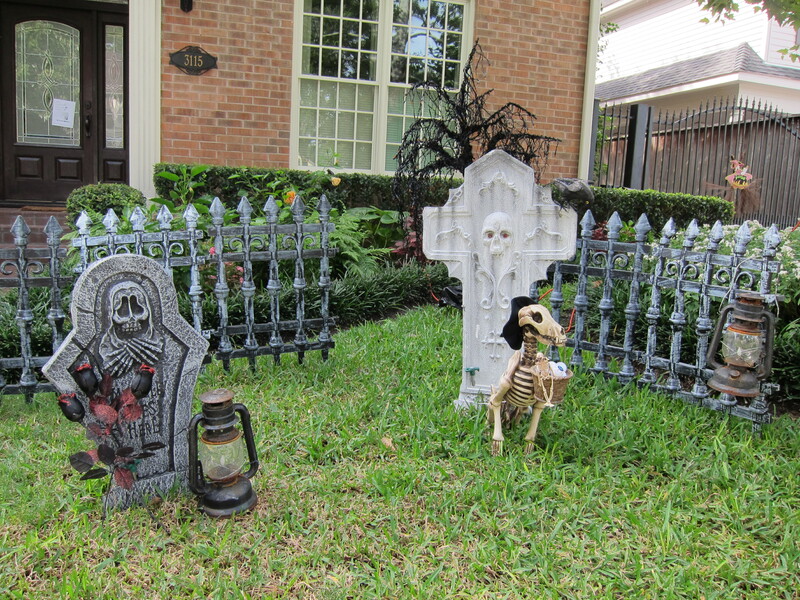 Next up is Sharon Wray’s graveyard for the undead. 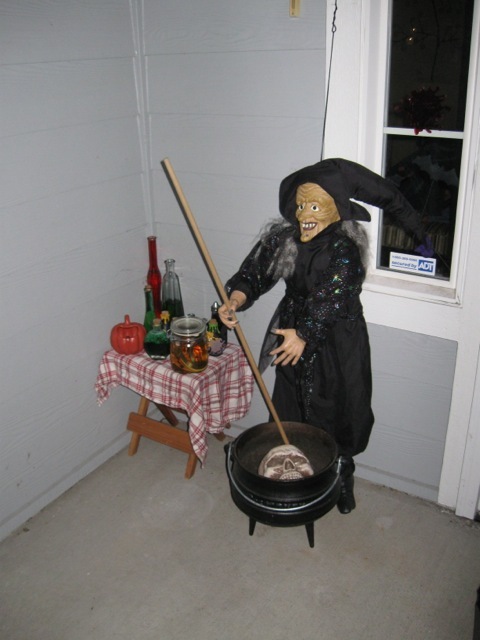 The witch will greet visitors at my house. 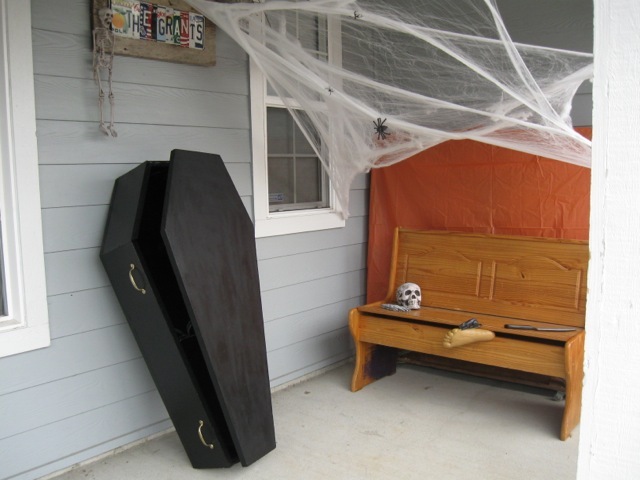 My husband just finished making the coffin, which is on the other side of the front door. Inside are eyes that will light up, make noise, and shake the box when you make a noise. 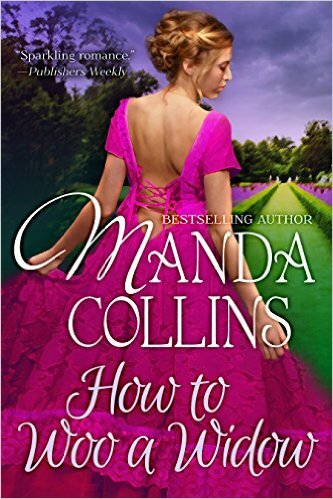 This week’s featured Kiss and Thrill title is Manda Collins’ WHY DUKES SAY I DO. To claim your prizes please use the contact us page within 10 days and be sure to include your US mailing address. We have a great week coming up at Kiss and Thrill. 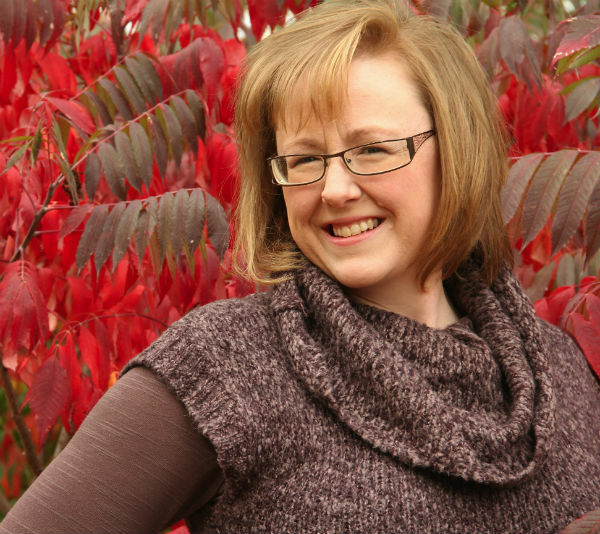 On Tuesday Carey interviews Carla Neggers and on Thursday Julie Ann Walker returns for a guest blog! 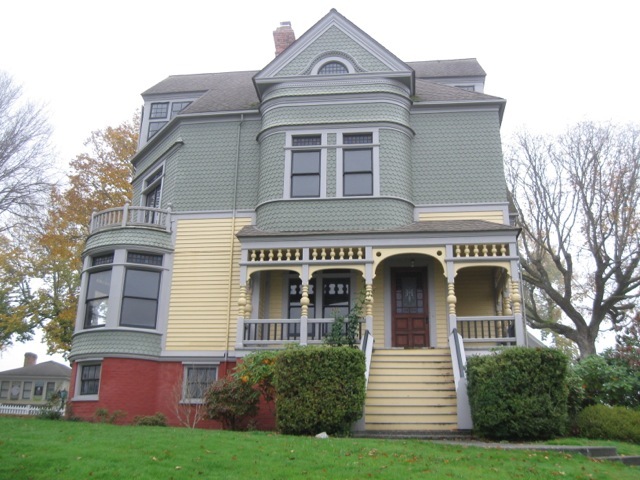 I recently attended a ghost tour of the historic logging town Port Gamble, Washington. 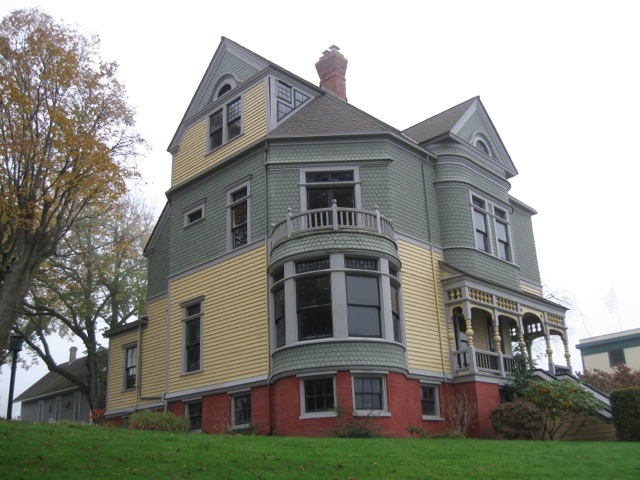 The town was the inspiration for the setting of my book, Grave Danger, and I was particularly excited that as part of the tour, we were able to enter the Walker-Ames house, which was my model for the Montgomery Mansion. 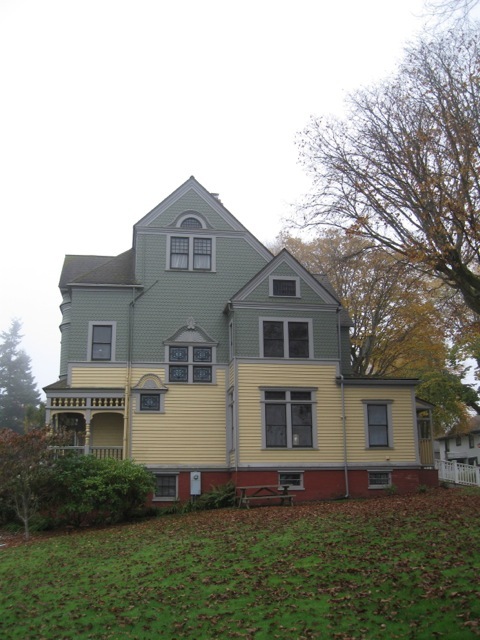 This was my second tour of the house, but the first late at night, with a group of people hoping to run into a ghost or two. Sadly (or thankfully, depending on your point of view) we didn’t meet any specters, but I was able to take some pictures of the interior of the gorgeous old house. The house was pitch-dark during the tour (since we were looking for ghosts) so I couldn’t actually see what I was taking a picture of–had no idea how bright the wallpaper was, and objects will be off-center in some shots. The daylight shots of the exterior were taken at another time. In the book Libby stands on the porch and looks over the town, imagining how Lyle felt when living there. Later, Mark has a conversation with Jason on the porch. 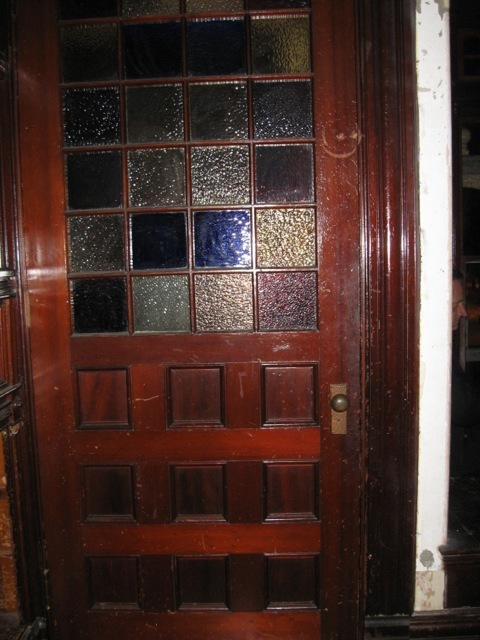 Upon entry into the house, there is an enclosed vestibule and then an interior door into the front hall. 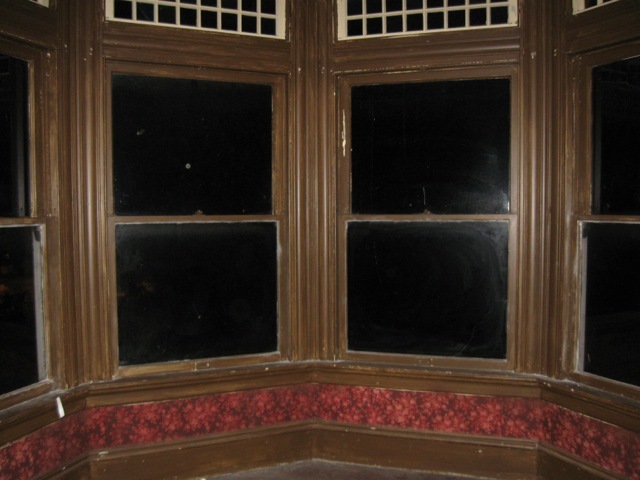 This second photo is the interior door, taken during the ghost tour. Next is the entry hall, with center hearth. 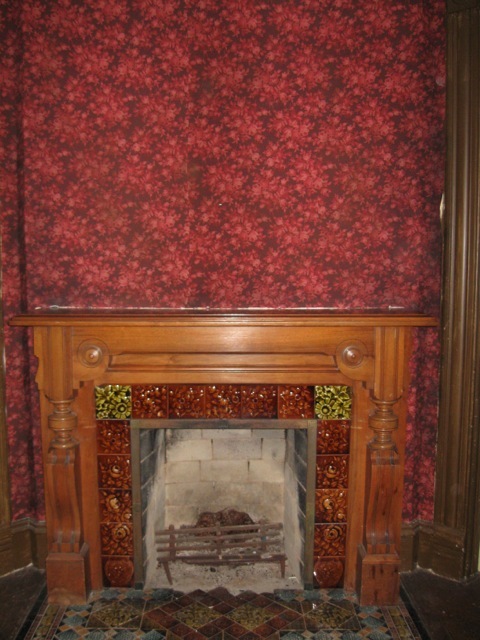 The stairway shot following is to the right of the hearth. 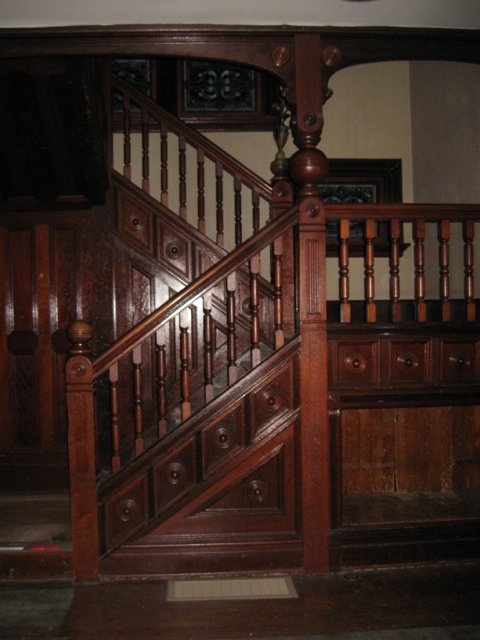 In Grave Danger, this is the first room Libby enters and is disappointed to take in the cold, empty room, which could be warm and inviting, given the stained-glass windows above the stairs and rich woodwork of the staircase. 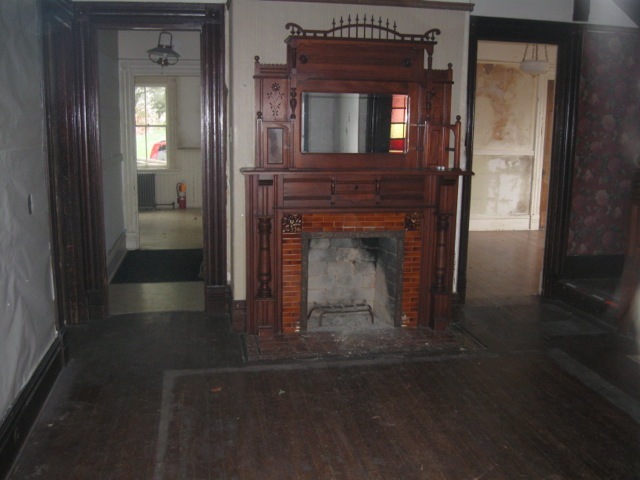 The curved windows are in the round room to the left of the entryway, and the next photo is of the hearth in that room. This is the room where Libby interviews the elder Montgomery family members. The house is utterly gorgeous and it would be wonderful to see it fixed up in all its glory, except then people would live there and I wouldn’t get to go on ghost tours and take pictures, and be inspired. 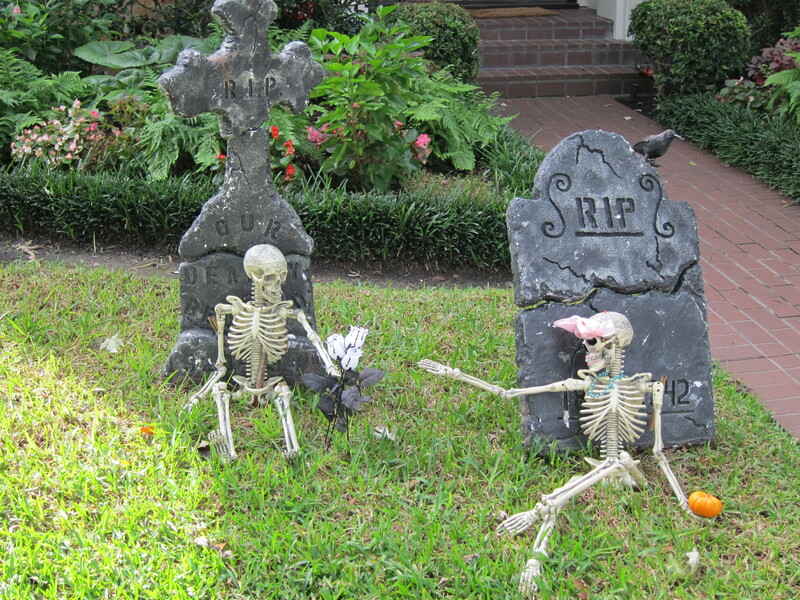 So, tell me, have you ever been on a ghost tour? Or is there a particular tour you’d like to go on? 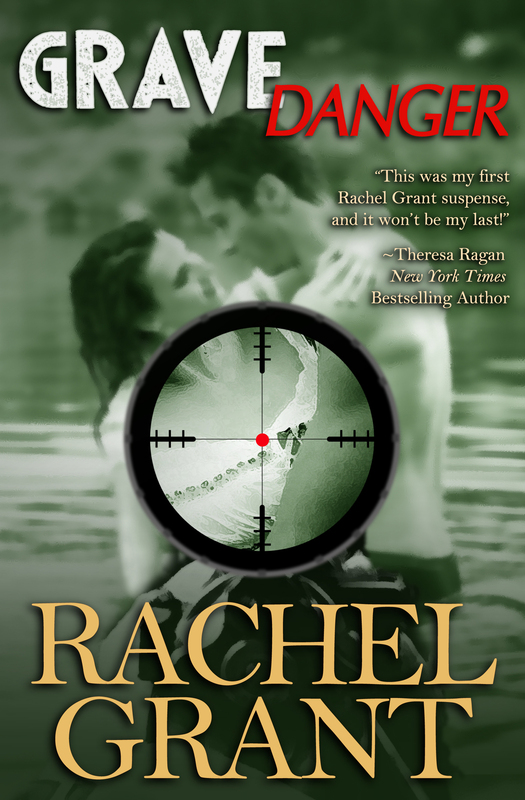 I’m giving away a print copy of Grave Danger and a magnet with a picture of the Walker-Ames house to one commenter. The winner of Grave Danger is Cris! Congratulations!! 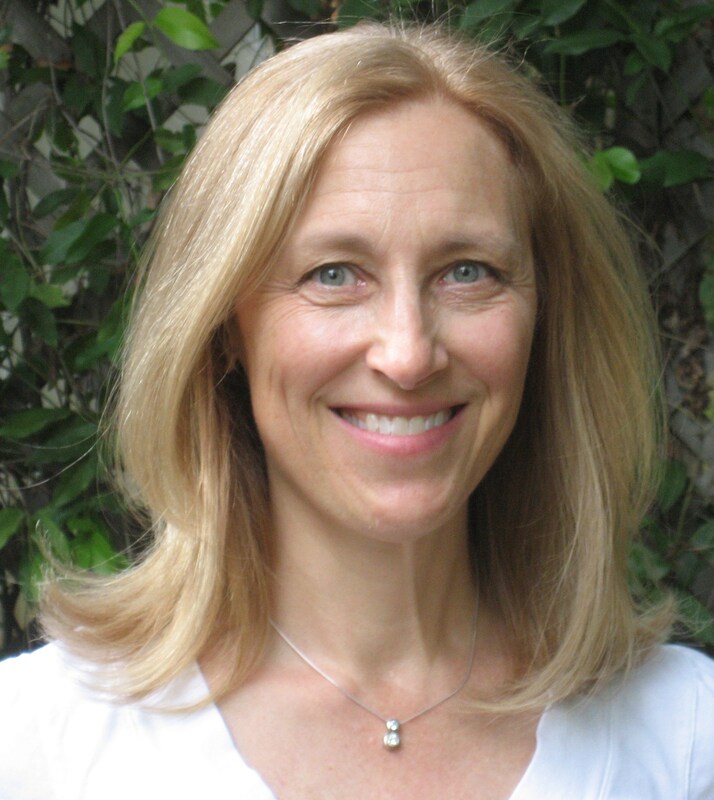 Join us Tuesday for author Stacy Green talking about Black Market adoptions, the basis for her new novel TIN GOD. Have a great Memorial Day weekend!